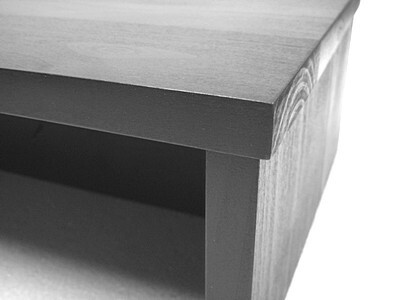 Riser stands for home, office, and anywhere a riser stand is desired. For your TV, stereo, computer monitor, printer, laptop, gear, and more. These are pre-made stands with promotional pricing that is substantially lower than custom made prices. Compare to $168+ (with shipping) for custom made with similar specifications. Stands are ready to ship. Made of Northwest Alder and Poplar hard woods. 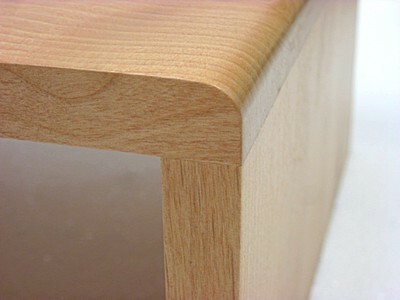 Concealed joinery is used, a feature found in higher quality furniture. Stand edges are lightly rounded for a clean modern look. 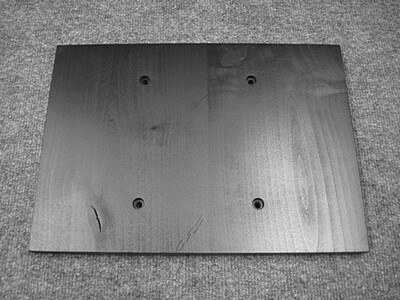 The front dimension is the side-to-side dimension (across the stand front). The side dimension is the front-to-back dimension (along the stand side). Stand size is approximate. The medium sheen is close to a satin sheen. Description of the finish qualitiy is provided elsewhere in this listing. If for some reason an ordered pre-made stand does not fit your needs or you are not completely satisfied with your purchase, you have up to 30 days to return the stand for a refund. Shipping fees are non refundable. If you need to make a return, please contact for return instructions. Shipping turnaround time is up to 5 days from date of payment. Orders are typically shipped 1-2 times per week. Shipping price is for within the continental USA. Shipping price includes transport costs, shipping box, packing materials, packing labor, and drop off with carrier. Follow up will be done to finalize the order and arrange for payment. "GREAT price, FAST shipping, item EXACTLY as described - thanks"
"Excellent seller and product very happy with! Packaged very good!!" "Great item. Thank you! :-)"
"Great seller and customer service!" "I'm Absolutely Beyond Impressed! Excellent Product! Get Ready For More Orders." "Nice quality! Quick ship! A plus seller!" "Just as described. Fast shipping. Very happy. Thank you." "Great seller! Would do business with again. A+++"
"Wonderful Product - Great response from seller." "ITEM AS DESCRIBED SHIPPED VERY QUICKLY, THANKS"
"great item. fast shipping. A+++++++"
"Great transaction! Fast shipping! Thanks!" "Awesome product, perfect for what I needed. Great Quality,Perfect E-Bayer A+++++"
"Well built product. Just right size and price! Many thanks!" "Great transaction and very quick shipment"
"Received this quickly. 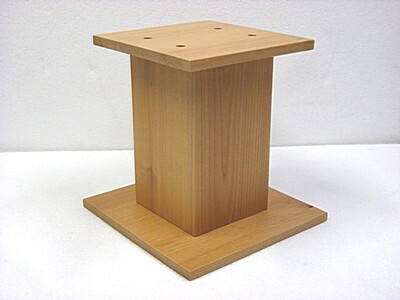 It is very well made and was the perfect solution for us"
"Good price for a real wood stand." "Item was exactly as described. Very happy with the purchase." "Exactly what I was looking for. Good quality, quick, awesome pricing." "Item as described. Fast shipment. Thank you very much." "BEAUTIFUL RISER ~ Great Communication & Service ~ THANK YOU!!" "GREAT Riser ~ BEAUTIFUL construction ~ EXCELLENT Service!! THANK YOU!!" "Thank you very much, it is perfect"
"Great stand. Very reasonable. Will keep seller in mind if I need more. A++++"
"Exactly as described and quick shipping. Thanks!" "Excellent quality stand, fast delivery, great communication." "Beautiful piece - sturdy but light. I love it. Quick shipping. A+++++++++++++++"
"Excellent communication, fast shipping, awesome work!" "Great product. Good communication. +++"
"Nice quality. Vendor communicated well. Satisfied." "works well -- thank you"
"As described, quick shipping. Very nice." "A++! Great seller, great high quality item. Thank you"
"great riser, and arrived unbelievably fast!"